Need gas? I don't think so. At least not very much! 21 MPG Hwy... This functional 1500, with its grippy 4WD, will handle anything mother nature decide… s to throw at you** Runs mint! RAM FEVER.. Priced below MSRP!!! What a value.. 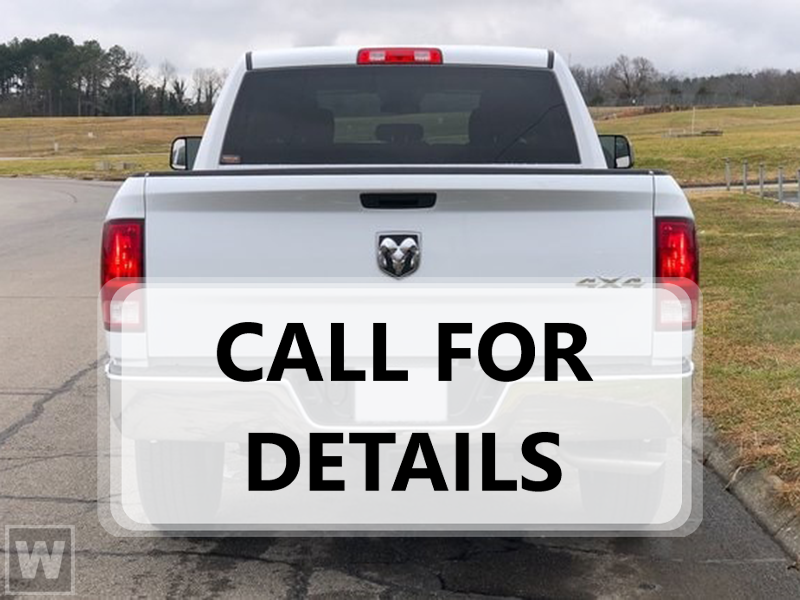 Optional equipment includes: Engine: 5.7L V8 HEMI MDS VVT eTorque, Dual-Pane Panoramic Sunroof, (0 P) Ivory 3-Coat, Anti-Spin Differential Rear Axle, Trailer Brake Control... What a Place! Contact John Youngblood Motors, Inc. for more info. Disclaimer: EPA mileage estimates are for newly manufactured vehicles only. Your actual mileage will vary depending on how you drive and maintain your vehicle. Before purchasing this vehicle, it is your responsibility to address any and all differences between information on this website and the actual vehicle specifications and/or any warranties offered prior to the sale of this vehicle. Vehicle data on this website is compiled from publicly available sources believed by the publisher to be reliable. Vehicle data is subject to change without notice. The publisher assumes no responsibility for errors and/or omissions in this data the compilation of this data and makes no representations express or implied to any actual or prospective purchaser of the vehicle as to the condition of the vehicle, vehicle specifications, ownership, vehicle history, equipment/accessories, price or warranties.